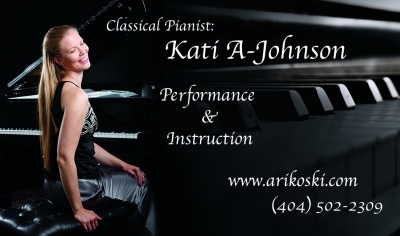 Having recently relocated to the Atlanta metro area, Finnish pianist and piano teacher Kati Arikoski-Johnson is offering her expertise and accepting new students who are excited to learn piano. Kati is a trained classical pianist who earned degrees from Turku Arts Academy in Finland and the Royal Danish Academy of Music in Copenhagen, Denmark. She also studied in University of Music and Arts in Austria. Kati has over 20 years teaching experience and her teaching style is student centric with an approach to inspire and encourage. She is also multilingual and can offer instruction in Danish, Finnish, or English. This is a great opportunity for new and advanced students alike. Lessons are located one block from Dearborn Park and provided on a 5’10” Hailun grand piano. Sign up early! Kati had a long wait list in Denmark before moving to Decatur. 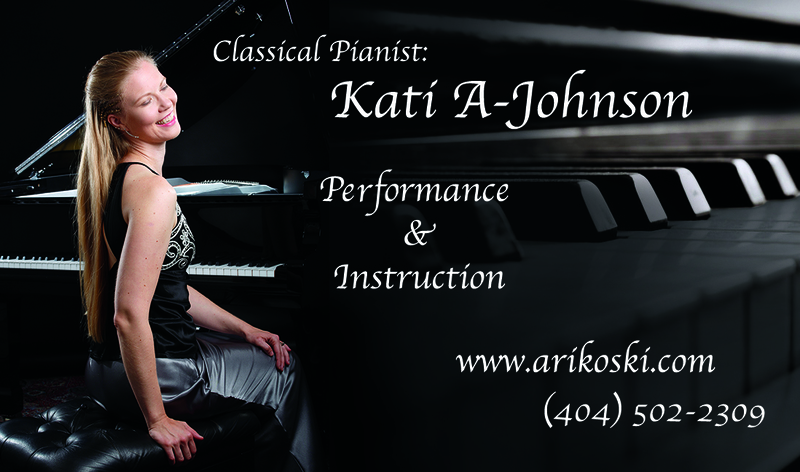 Feel free to email: kati@arikoski.com or call/text at: 404-502-2309. ” Kati is really sweet, the very best teacher I have ever had. She is helpful and you learn easily with her.